Mum of Five Staying Sane: Surviving the summer holidays. 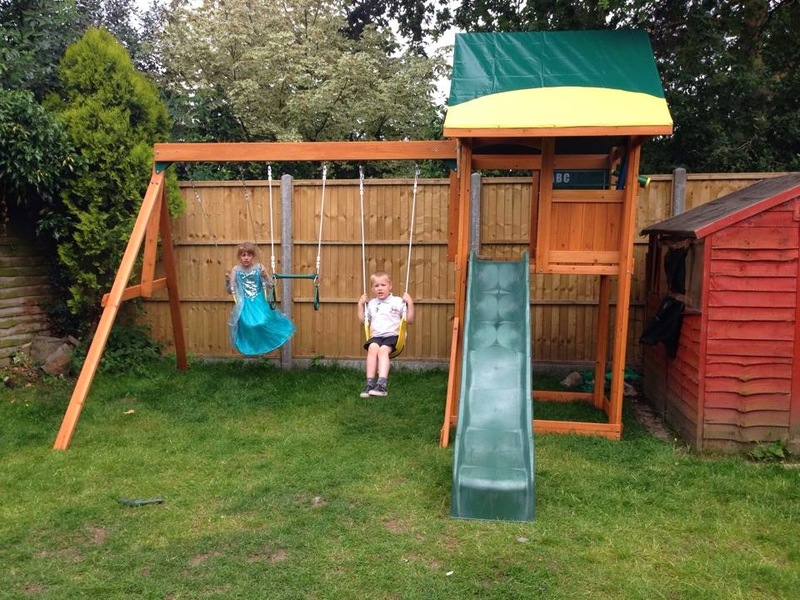 Our recent Selwood Oriana Prestige climbing frame purchase from Climbing Frames UK has ensured they get out in the sunshine more. Surviving the summer holidays. Our recent Selwood Oriana Prestige climbing frame purchase from Climbing Frames UK has ensured they get out in the sunshine more. So as the first full week of the Summer Holidays creeps up on us we have today retreated into the house due to a full on storm that pounced on us as we were heading back from the shops. I put the Lego Movie on for the younger ones to watch which Thing 4 was happy about. Thing 5 sat and watched and seemed interested too then fell asleep on the sofa for the third day in a row! 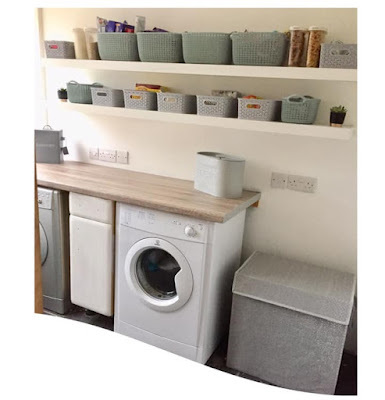 My tumble dryer packed up on me a couple of days ago and after mocking together some washing lines I got quite a bit of washing done yesterday. However today I had 3 lines of washing out and it was soaked through before I could get it in. I cried for a few minutes then prayed that the OH could fix the tumble dryer tonight. I enjoyed using a washing line for all of a day but when the rain hits you realise that line drying just isn't for you!! Anyway, every other day so far has been gorgeous and extremely hot. Yet the children were always in the house. 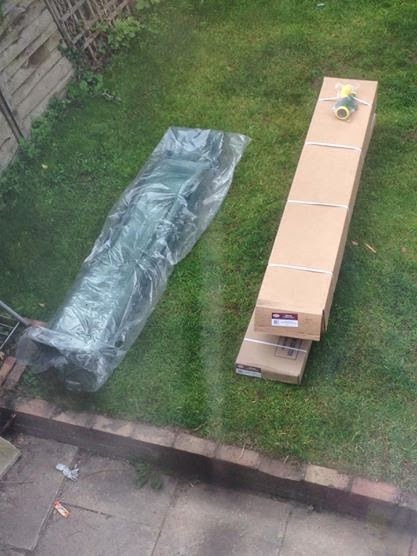 So myself and OH made the decision that we should buy something for the back garden that will hopefully get them out in the fresh air and playing outdoors. 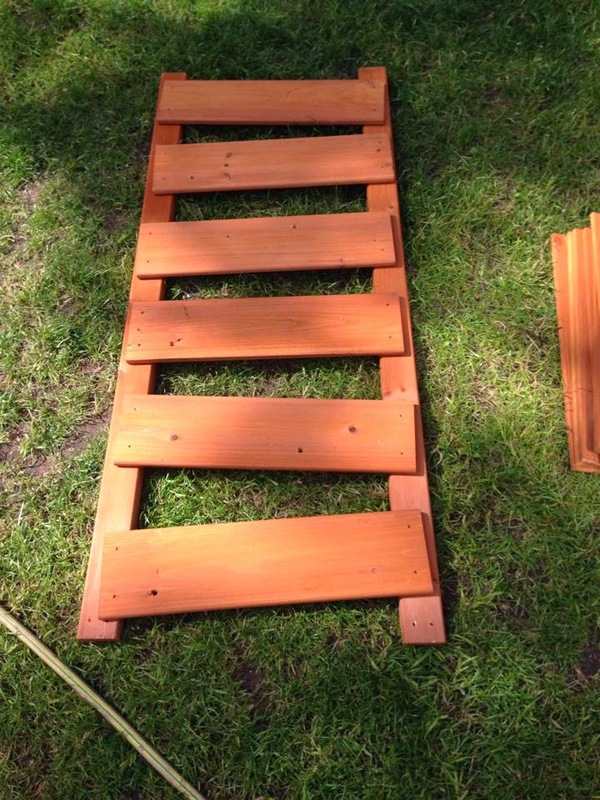 I spent ages looking into what we could get and I decided that I wanted to get a wooden climbing frame. Something that should last a good few years and that they can all use and play on together. 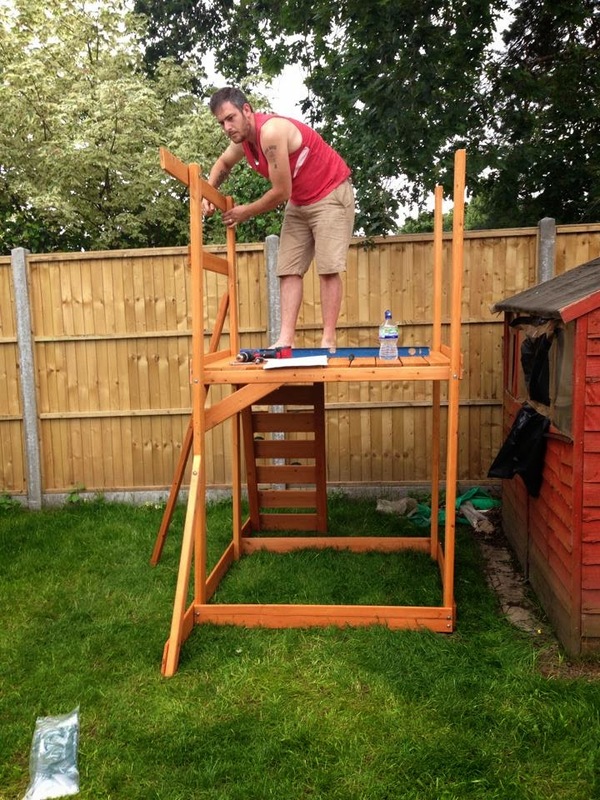 I found a website with fab prices on climbing frames and my only issue was which one to go for. 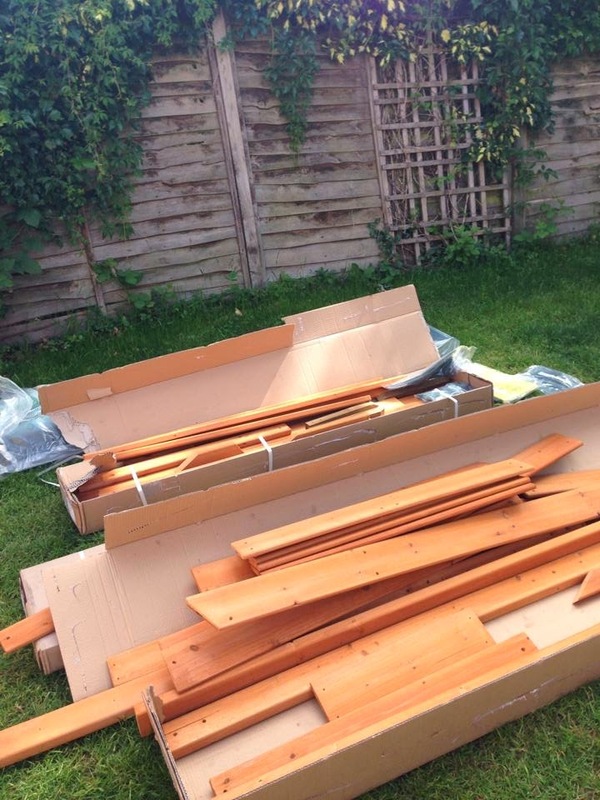 Which one had the best combination for what we wanted/needed plus would fit in the garden with room to spare! 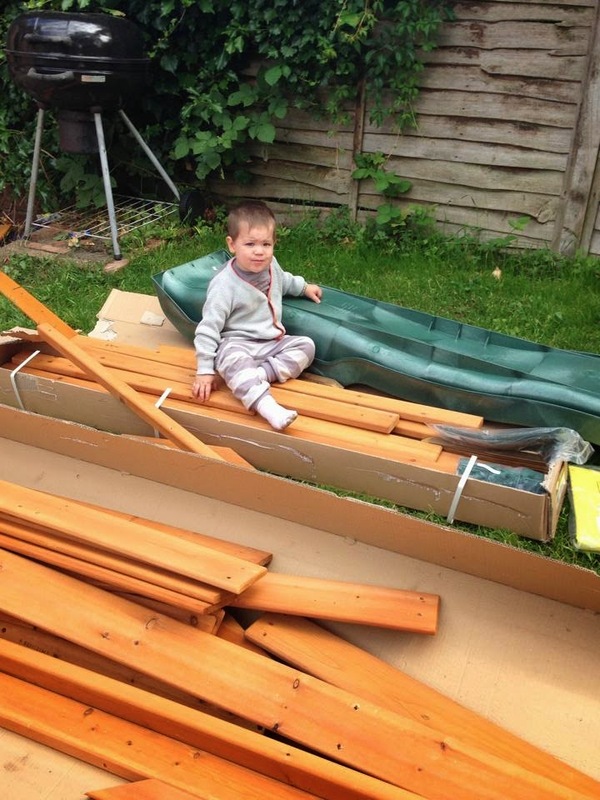 I showed Thing 4 what climbing frames there were and he obviously wanted the buggest one. 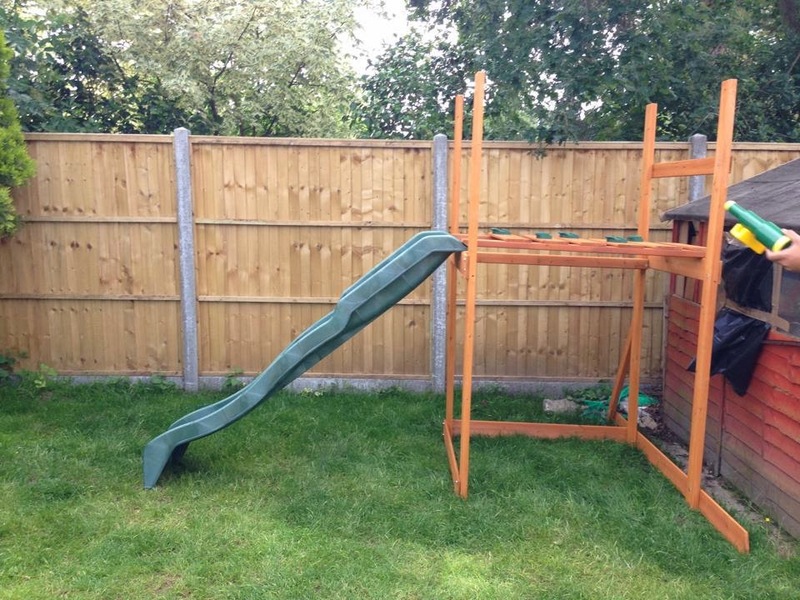 Unfortunately our budget didn't cover the £10,000+ climbing frame and I'm sure the neighbours wouldn't have appreciated us using their garden as well as ours to put it in! Unboxing and Thing 5 got slightly excited even though we had a long day ahead! 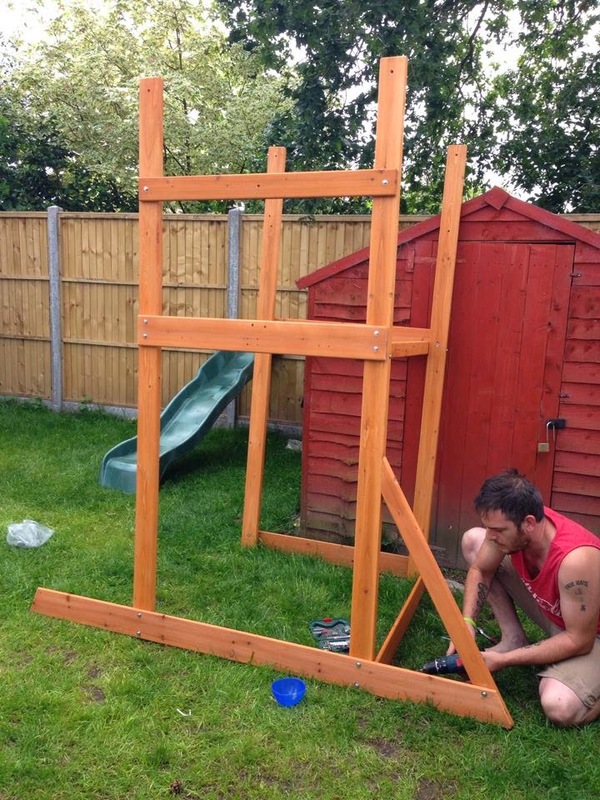 After spending almost 2 weeks browsing the Climbing Frames UK website and trying to decide on what I wanted we finally chose the Oriana Prestige climbing frame, although no longer available on the website it is very similar to a few others that are available on there now. It arrived within a week of ordering and it was delivered at 7am in the morning on a day I had chosen. I was so pleased as it gave us most of the day to get it put together before the children came home from school. There were three large boxes, the slide and the telescope. I opened the boxes straight away to find the instruction manual to set to work on the construction, I was more excited than the children! 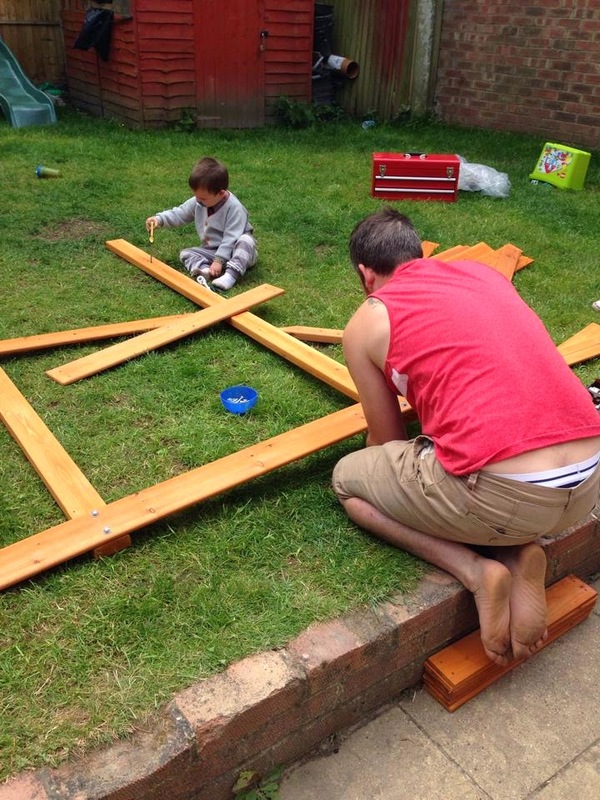 The start of the construction process, Thing 5 was 'helping' Uncle David. The tower starts to take shape. 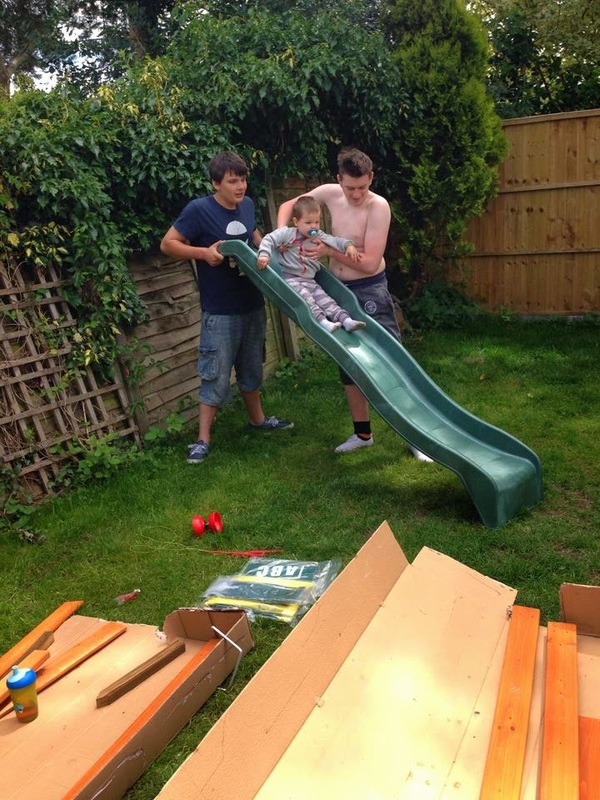 I enlisted the help of my brother, sister in law and their son to help with the construction process. Whilst awaiting my brothers arrival I started sorting the wood into piles of which parts were required for each page in the instruction booklet. This really helped the whole process as I am sure if we hadn't of done this most of our time would have been spent sorting through all the wood to find the correct pieces. These 2 were far from helpful, I'm not sure that is how you use a slide but Thing 5 couldn't wait so he had one go and was held on to tightly! There were hundreds of screws/bolts etc... in all different sizes. Again with these I found it easier to get all the screws/bolts ready that were needed for the next page of construction whilst my brother was working on the previous page, this meant we were all ready and prepared when each stage was complete and we moved onto the next one. My brother worked hard all day to make sure it was complete by the time the children finished school. The whole process took around five hours with my brother working on the main construction with myself and my sister in law working on sorting all of the pieces for when he needed them. This routine worked well for us and it helped that it was a lovely sunny day too. 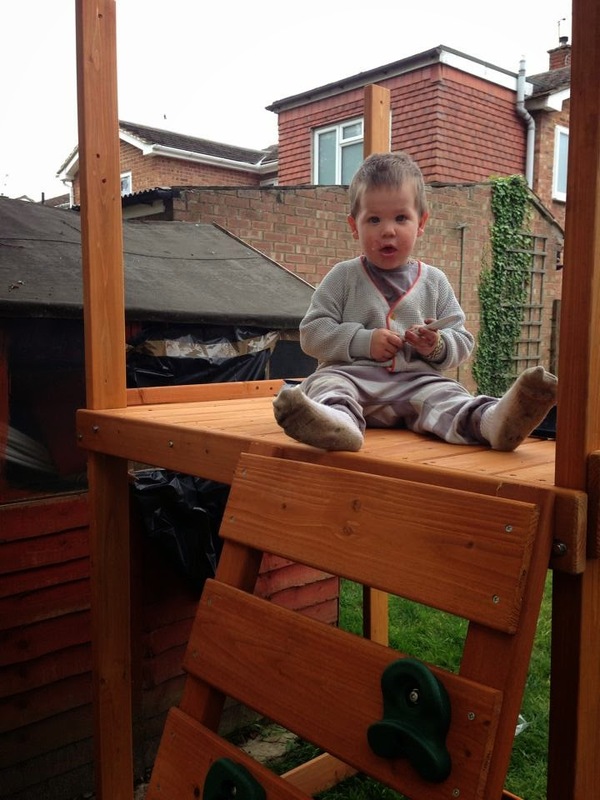 The climbing frame was well worth the investment and the children are out in the garden most days. They like to sit up in the tower part of the climbing frame. 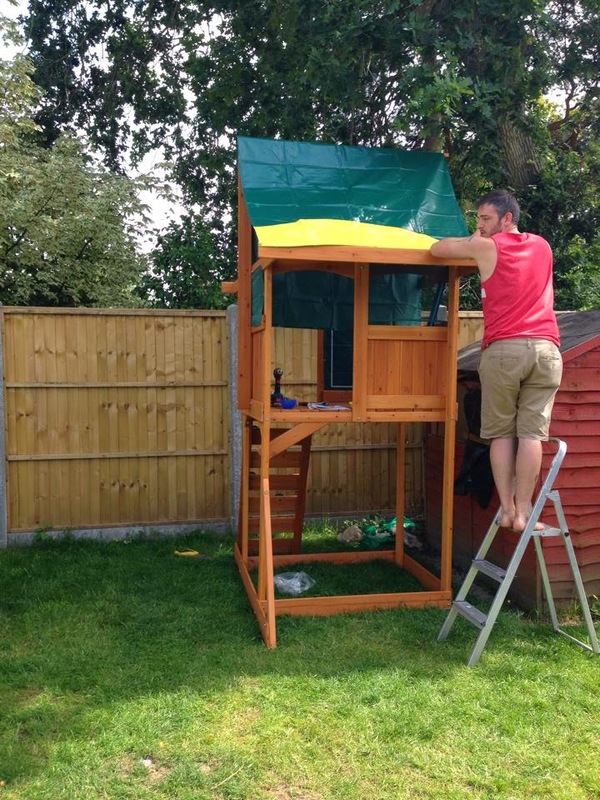 The girls will sit up there making loom bands or Thing 5 will sit up there and play with his cars. The swings are very popular, if only we could get a frame with 4 swings on there would be no arguments! I was going to purchase a baby swing seat for Thing 5 but the yellow swing seats shape around his bottom really well and he holds on to the ropes as we swing him gently. The only problem we have is getting him to get off the swing to let someone else have a go. 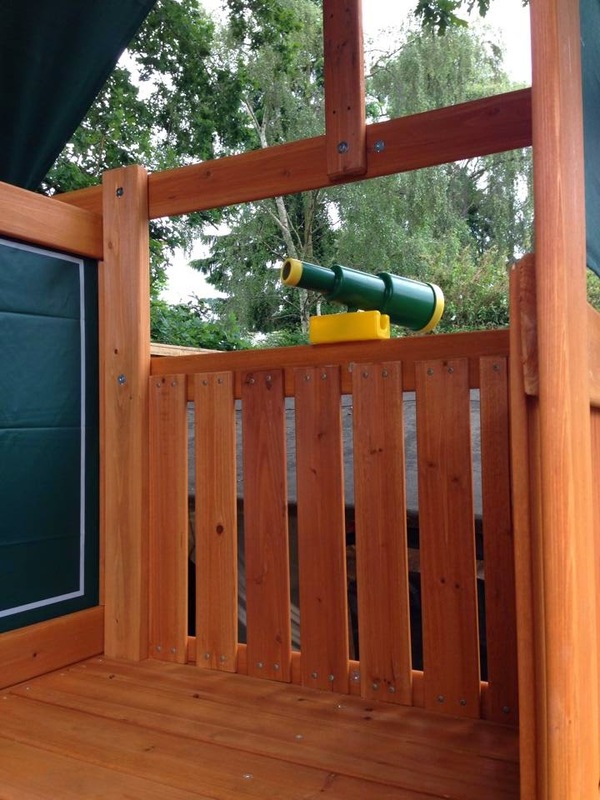 Thing 4 was excited to see I had purchased the telescope as an extra, it was one of his requirements when looking at the climbing frames! The main tower is finished, complete with telescope! 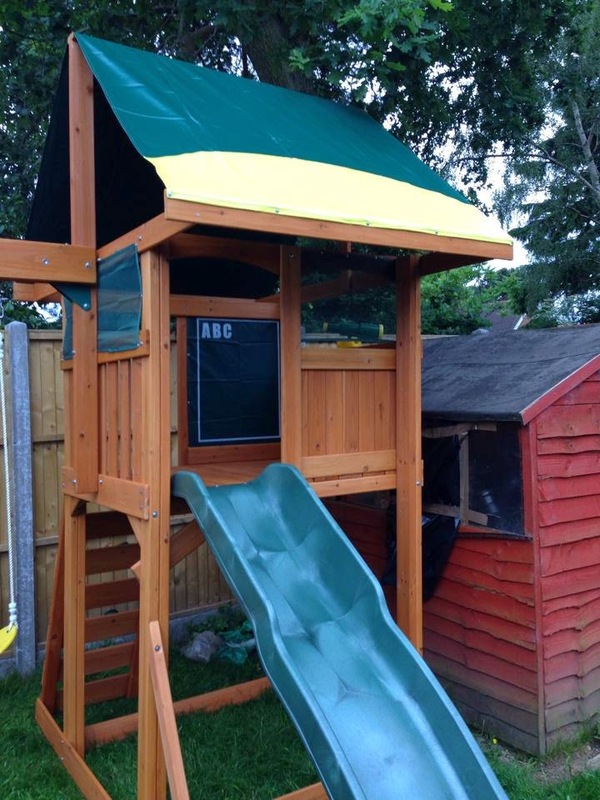 We would like to add the wrap around playhouse to it at some point but for now they are very happy with the climbing frame and it will definitely be used for years to come. 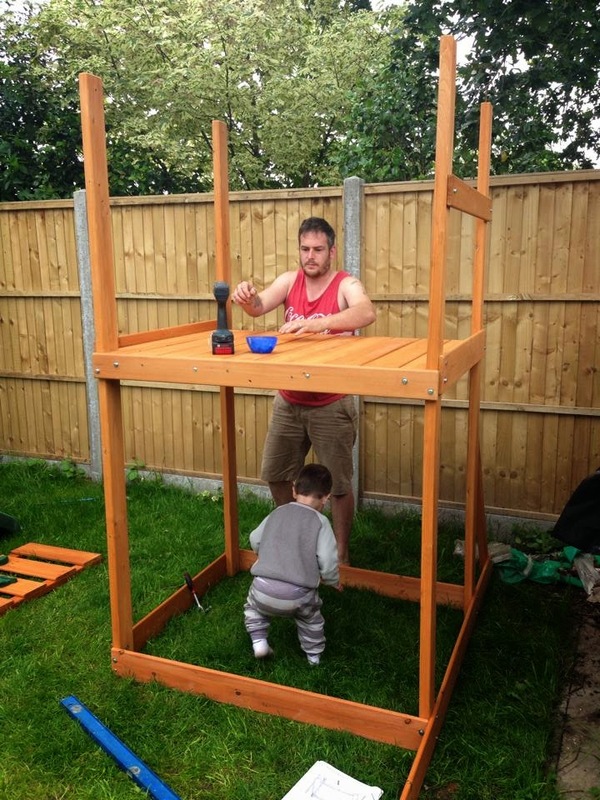 The finished Oriana Prestige climbing frame complete with Thing 3 and Thing 4 trying it out.